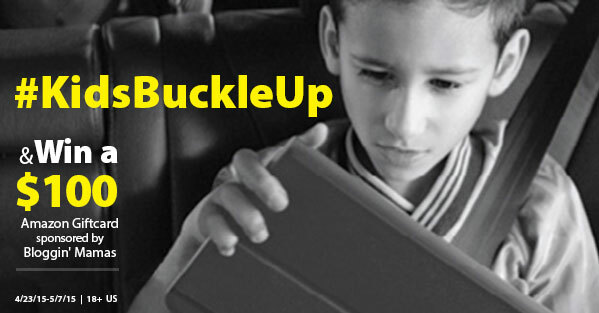 Blog­gin’ Mamas would like to sup­port the Ad Coun­cil and The U.S. Depart­ment of Transportation’s National High­way Traf­fic Safety Administration (NHTSA) with pro­mot­ing the Seat Belt Safety cam­paign, which asks par­ents of chil­dren ages 8–14 to make sure their kids are con­sis­tently and prop­erly wear­ing their seat belt every time they get in the car. Par­ent­ing a tween involves com­pro­mise. But here’s one rule that should not be up for debate – the car doesn’t move until every­one is wear­ing a seat belt. 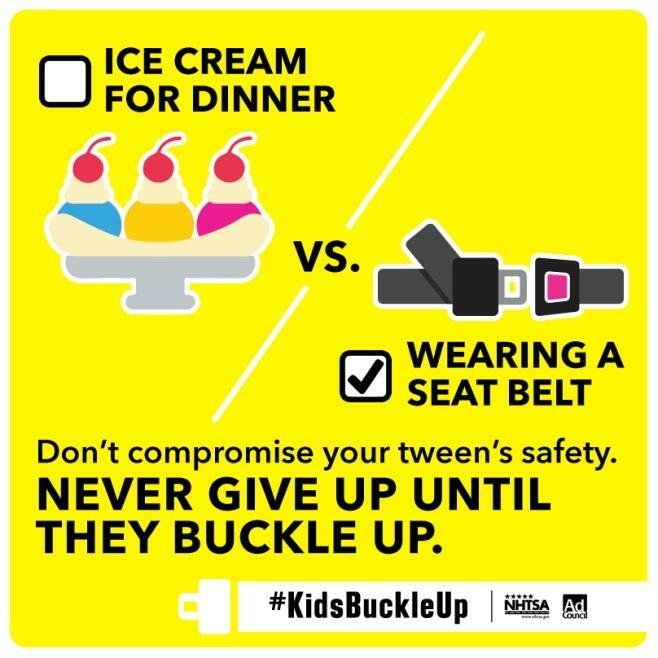 If you say it, and if par­ents buckle up them­selves, your tween will buckle up. And if they don’t, that’s a fight worth hav­ing. 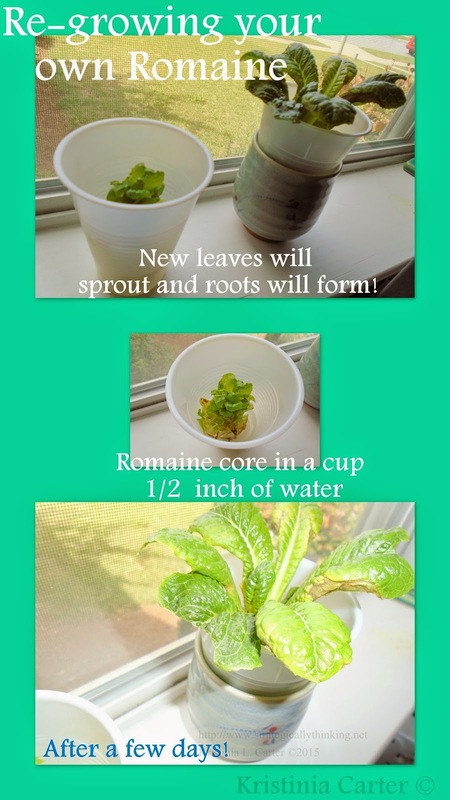 It might just save your tween’s life. Did you know that one child pas­sen­ger age 8 – 14 is injured every 8 min­utes in a car crash? From 2009 – 2013, 1,522 kids ages 8–14 died in car, SUV and van crashes. Of those who died, almost half were unbelted. 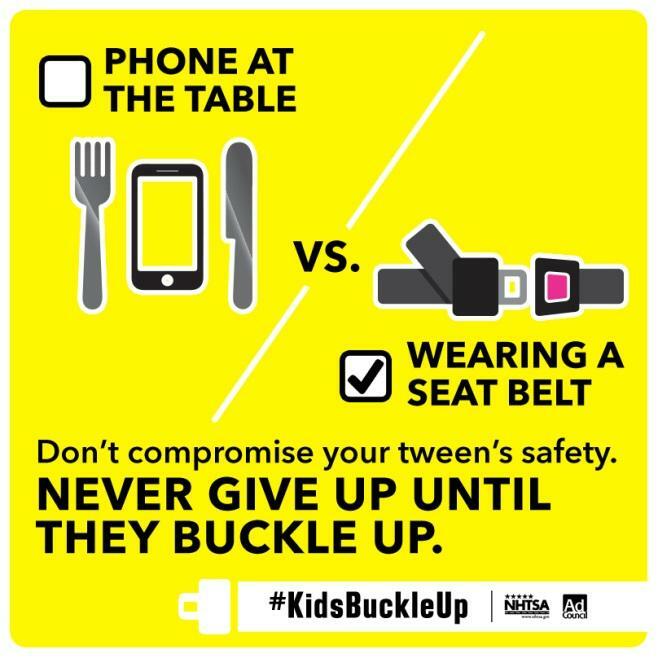 As chil­dren get older they’re some­times less likely to buckle up. The per­cent­age of child pas­sen­gers who die while rid­ing unre­strained gen­er­ally increases with age and is most pro­nounced among 13 and 14-year-olds regard­less of seat­ing position.